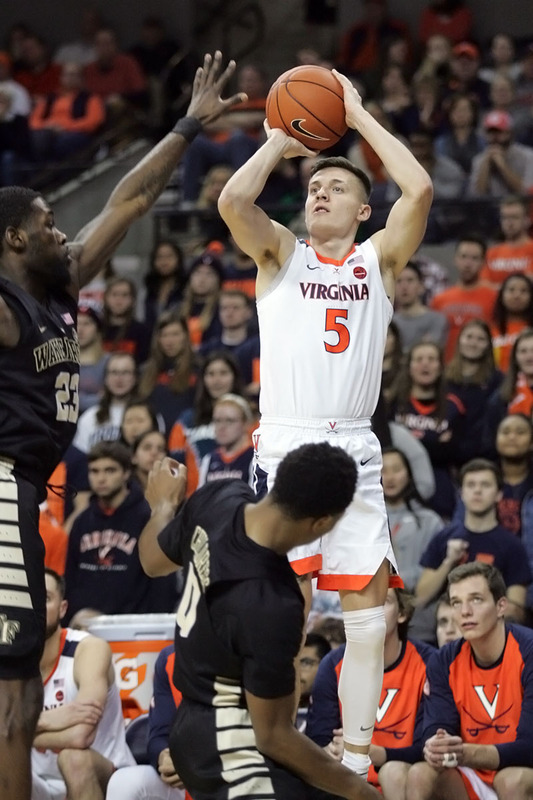 For the second time this month, the Virginia basketball team won the first leg of a back-to-back road swing in convincing fashion. This time around, the Cavaliers took care of Notre Dame on Saturday, 82-55. That’s the fifth time in ACC play that they’ve won by 20 points or more. That’s remarkable certainly and it seems like UVA fans continue to pinch themselves just to make sure they aren’t dreaming during the Tony Bennett era. Wide margins of victory aren’t unprecedented for the program, though. In fact, Virginia teams winning by double digits in ACC play is actually normal at this point. The Hoos won 10 ACC games last year by at least 10 points, though just three of those were in the 20+ range. In 2016-2017, they won nine ACC games by 10 or more with two by 20+. In 2015-16, there were seven ACC wins by 10+ points with two by 20+. In 2014-15, they picked up 10 league wins by 10 points or more with three by 20+. In other words, over the past five seasons, counting the currently in progress, Virginia has clicked off 42 ACC wins by a double-digit margin on the scoreboard. The Double Bonus is back to look at the latest big win in the string.